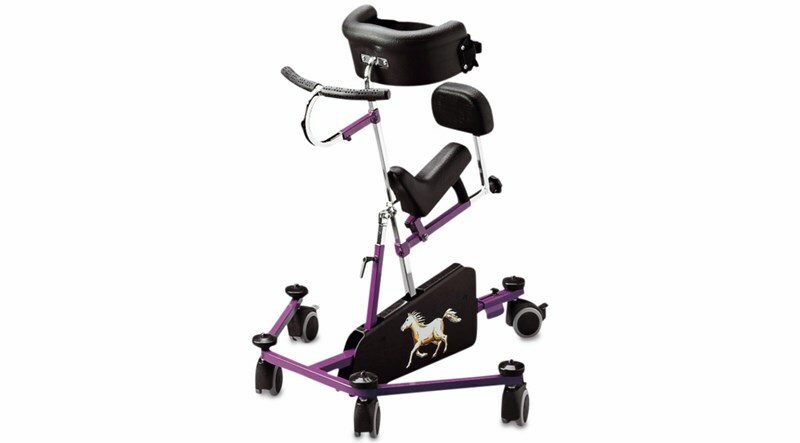 The Buddy Roamer™ is a posterior walking aid that provides partial weight bearing postural support with mobility. 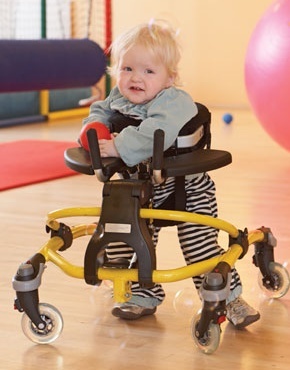 The ergonomically designed frame supports body weight while allowing the child to walk around freely and unaided. 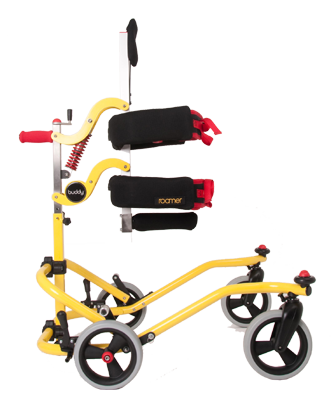 The Buddy Roamer™ has been designed to meet the needs of mild, moderate and complex users. There is no obstruction to interaction with other people or objects. 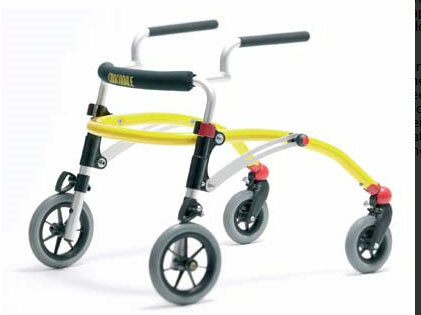 This allows the child to have hands-free interaction with the surroundings to learn, explore and discover. The frame has been developed so as to allow easy access through doors and down hallways while still providing excellent stability for exploration both indoors and out. 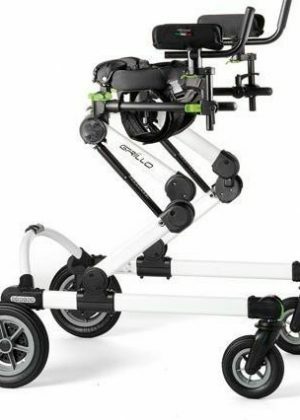 The modular design system allows the walker to grow as your child does, from twelve month old babies, to toddlers, to teenagers.